Dr. Damerell is a member of the Invisalign Orthodontic Master Program and a Certified Invisalign® Provider! Since Invisalign is nearly invisible, you can straighten your teeth without anyone knowing. Dr. Damerell has been a certified Invisalign treatment provider since it was introduced in 2000 and is currently a member of the Invisalign Orthodontic Master Program, where he is being mentored with 30 other top orthodontists from the US and Canada on how to treat difficult cases quickly and efficiently with Invisalign. He has treated many cases with this leading edge appliance system. He has recently been certified as a Teen provider and has an iTero digital intraoral scanner for increased accuracy and speed in receiving aligners. Have you ever wished for a straighter, healthier smile, but not looked forward to all the metal wires and bands that often go along with braces? 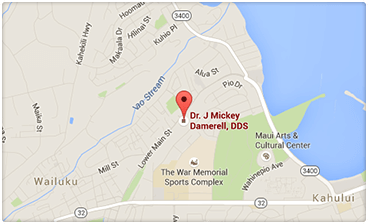 At Maui Smile Works we can make your dream of having a new smile come to life. To learn more about Invisalign and if you are a candidate or your child is a candidate for Invisalign Teen, contact our office today to schedule your complimentary Invisalign evaluation. Customized just for you– Your Invisalign aligners are customized to fit your mouth. Dr. Damerell uses advanced 3-D computer imaging technology to replicate an exact impression of your mouth and teeth, then he customizes each aligner so that it fits your mouth, and over time moves your teeth into the proper position. Effective– You will begin to notice a significant difference even before your treatment is complete! Most treatments are completed within one year; however this can vary from patient to patient. Invisalign aligners are removable, making it easy for you to enjoy the foods you love without worrying about breaking or bending your brackets and wires. You can also remove your Invisalign aligners to brush and floss regularly. You don’t need to change anything about your current lifestyle! With Invisalign you can continue participating in day-to-day activities without changing a thing. 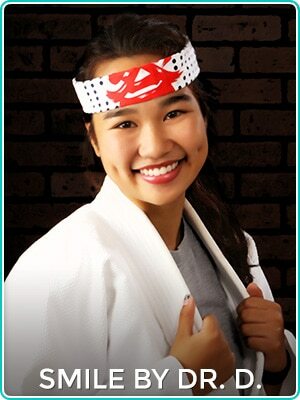 Invisalign is great for Teens, professionals, athletes, brides, and parents. *By wearing AcceleDent 20 minutes per day, most clients can wear their aligners for only 1 week.